Egg Farmers of Alberta (EFA) presented Alberta Food Banks with a cheque for $30,000, in a ceremony hosted by the Leduc & District Food Bank on January 13th, to celebrate the donation made as part of EFA’s 2014 social responsibility program. The donation will enable Alberta Food Banks to order more than 12,000 dozen eggs for their network of food banks across the province! Alberta’s more than 160 egg farming families are proud to provide Albertans with fresh, high quality, locally produced eggs. EFA has partnered with Sparks Eggs to help facilitate the ordering and delivery of eggs. Projects like this one, which was funded in part by Egg Farmers of Canada’s Egg Farmers Give Back program, allow the province’s egg farmers to give back to the communities they call home and provide even more Alberta families with nutritious, versatile eggs. 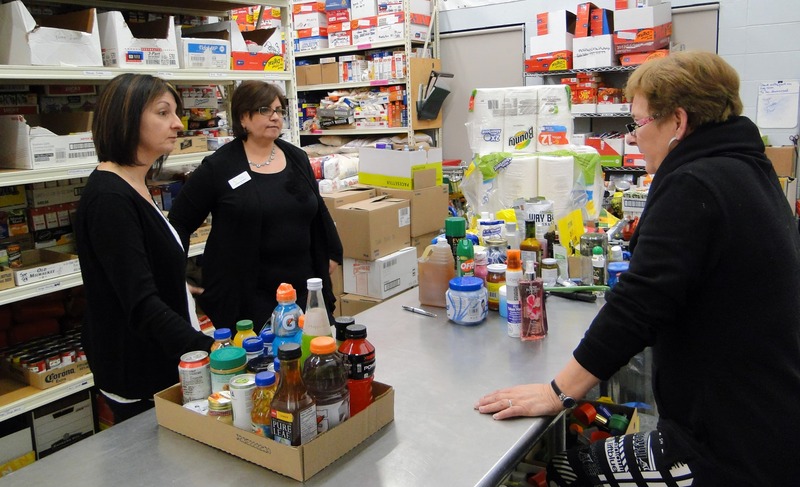 Gert Reynar, Executive Director of the Leduc & District Food Bank, gave EFA representatives a tour of the facility, explaining how she and her dedicated volunteers are able to provide food to more than 100 families each month. Alberta Food Banks is the provincial association of food banks in Alberta, with 60 members throughout the province. AFB’s mission is to advance the vital role, capacity and voice of Alberta’s food banks through advocacy, educational and networking opportunities, and exceptional member services. AFB’s vision is “a thriving network of food banks working collectively to alleviate hunger across Alberta”. Visit www.albertafoodbanks.org for more information and to learn how you can help! According to the 2014 Alberta HungerCount report, there were 49,766 people that were helped by a food bank in March 2014, which was about a 2% increase from the previous year. Nearly half (48.7%) of the food banks in Alberta reported an increase in usage in 2014, with 42.9% of those helped being children.